With Disc Player FM Stereo, iPod & Bluetooth Computer Hook-up! Perfect for a bedroom, home office, business office or college dorm, the DM40 is a versatile compact music system that provides for a wide range of music sources.The built-in FM tuner features 40 user presets, while the built-in disc player handles music CDs, as well as CD-R and CD-RW discs with MP3 and WMA playback capability. The amplifier section features a powerful 30 watts per channel output, backed by a robust power supply that features dual power transformers. Connecting your iPod to the D-M41bk is a snap – simply connect using the USB cable that came with your iPod. The direct play function automatically detects the iPod connection, and starts playback from the last track you listened to. The connection features digital audio signal handling, which routes the digital signal to the DM40 's 24 bit/192 kHz audiophile quality D/A converters for optimum fidelity. The USB port can also be used with portable drives, and is also MP3 and WMA compatible. Ease Of Use Functions With Remote! The front panel features a deluxe two line dot matrix fluorescent display, which provides clear indications of source and function status. The unit is equipped with a convenient timer function, which can be easily set up for Once, Daily, and Sleep modes. The included remote control unit features ergonomically designed buttons, with logical groupings for easy use. 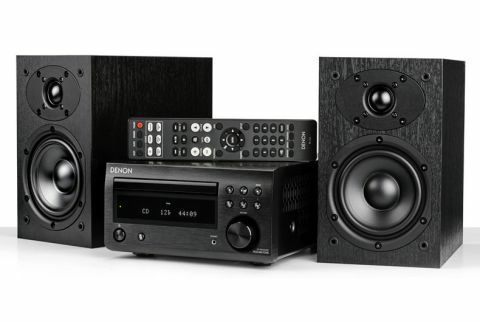 Small in size but big in sound, the loudspeakers include a host of Denon speaker technologies. The powerful 120mm woofer features Denon’s Double Layer convex cone technology, which provides deep bass and clear mid-range free of coloration caused by cone flex distortion, and also features air venting for optimum cooling during extended passages of high volume. The 25mm soft dome tweeter features extended response to 40 kHz, along with wide dispersion and high power handling thanks to the advanced coil and dome air venting system. Main Unit 4.5"H x 8.25"W x 12.25"D. Each Speaker 9.5"H x 5.75"W x 9"D.
The DP-29F includes a built-in phono equalizer to connect the unit to an integrated amp that does not have its own equalizer. 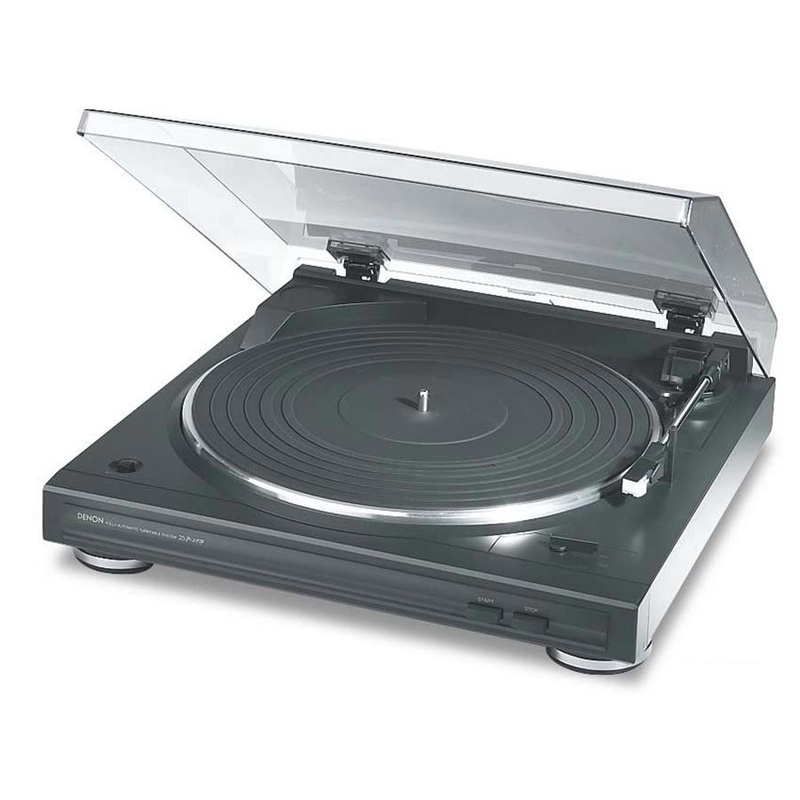 This turntable is powered by a DC servo motor and belt drive system and operated at the 33 1/3 or 45 rpm speed. It comes with an MM cartridge so that you can begin to enjoy your analog record collection as soon as you connect the DP-29F to your home hi-fi system. Two-year warranty. The DL-103R is an updated version of the classic DL-103. It provides improved sound by using 6N copper coils wound with precision to the cantilever shaft. Audio lovers will delight with detail that is brought out by this outstanding phono cartridge. Your record player never sounded so good. Don't forget to clean the record each time you play and also clean that stylus too. The needle has to seat inside the groove to extract every sound the way it should be played and heard!